Dear readers, I am typing this message to you from a different continent (unless you happen to be reading from Europe, in which case I am super honoured and semi-speechless). For the next month, I will be touring around this beautiful continent with my dear friend Gord. We plan on hitting up all the sights and cities, from Santorini to Copenhagen, Dublin to Vienna. This being said, I obviously won’t have much time or ability to cook. And so, as an alternative to not blogging at all, I’ve decided to turn Hilary Makes into a partial food diary. Posting pictures is a tad difficult, since I’m doing it all from my phone, but so long as you are willing to bear with my my semi-blurry iPhone photos and occasionally poor, auto-corrected grammar. You have been warned. For the next few days, I am solo-exploring Paris before meeting up with Gord in Santorini next week. Today was my first real day in the city, and I had some delicious food. 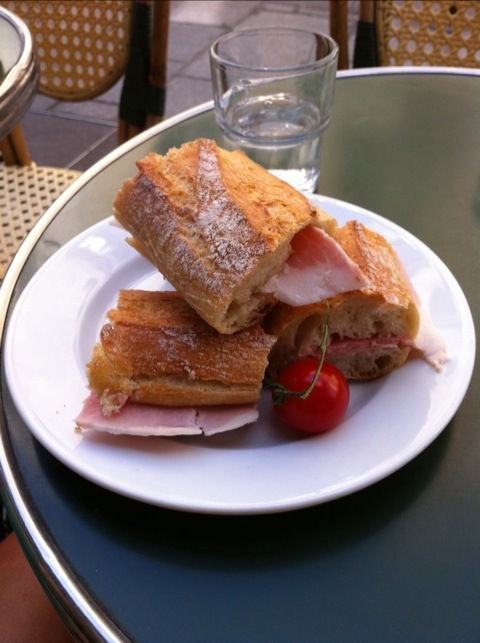 Below, you can see my delicious ham sandwich on a baguette, the innards drizzled with olive oil and balsamic vinegar. Holy hell it was good. 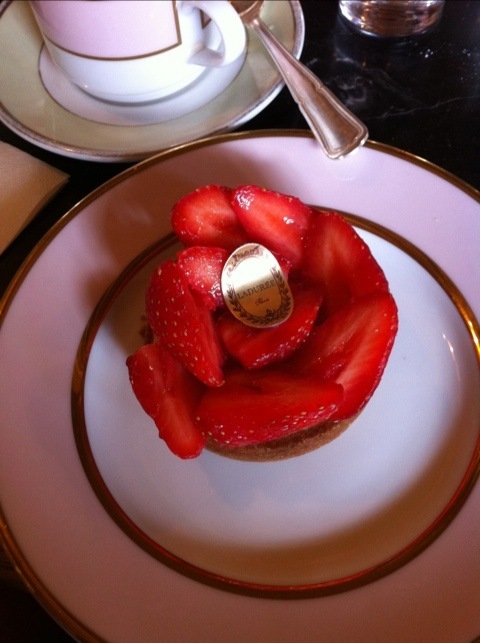 Next, the strawberry mascarpone pastry I ate at, get this, LADUREE. 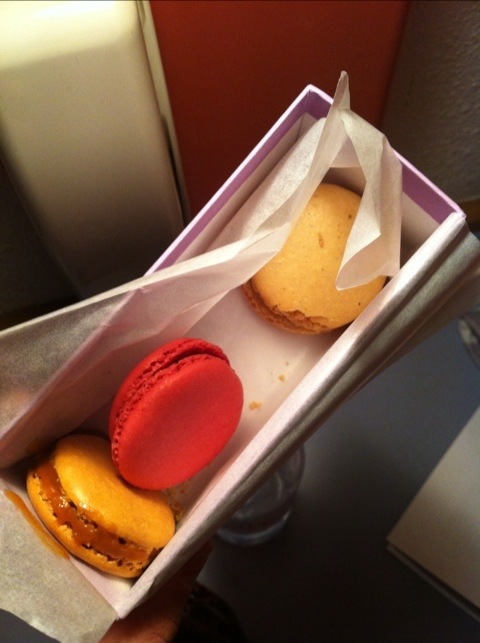 THE ORIGINAL LADUREE by the Louvre. I went with my old roommate Nat who joined me in the city for a day. We had a little (expensive) tea party, and it was absolutely glorious. 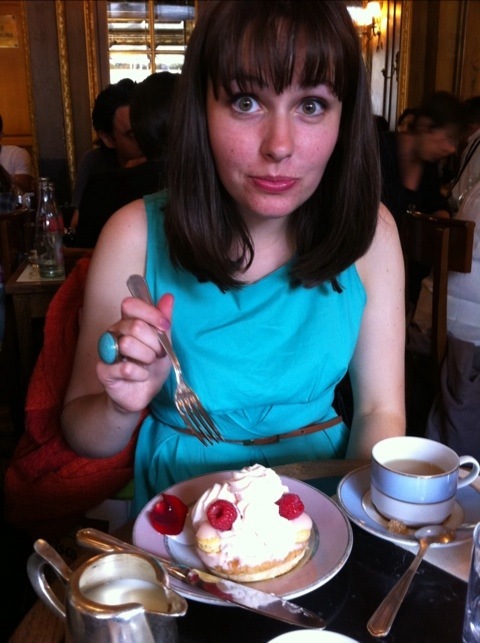 Natalie got a decadent pastry (the most expensive dessert on the menu!) that tasted exactly like roses. Delightful. Alright, so that’s all for today’s note-worthy food. I also bought freshly made marshmallows, but forgot to take a photo of those. Will try harder to remember these things. Glad to see you are up and running again….in Europe!